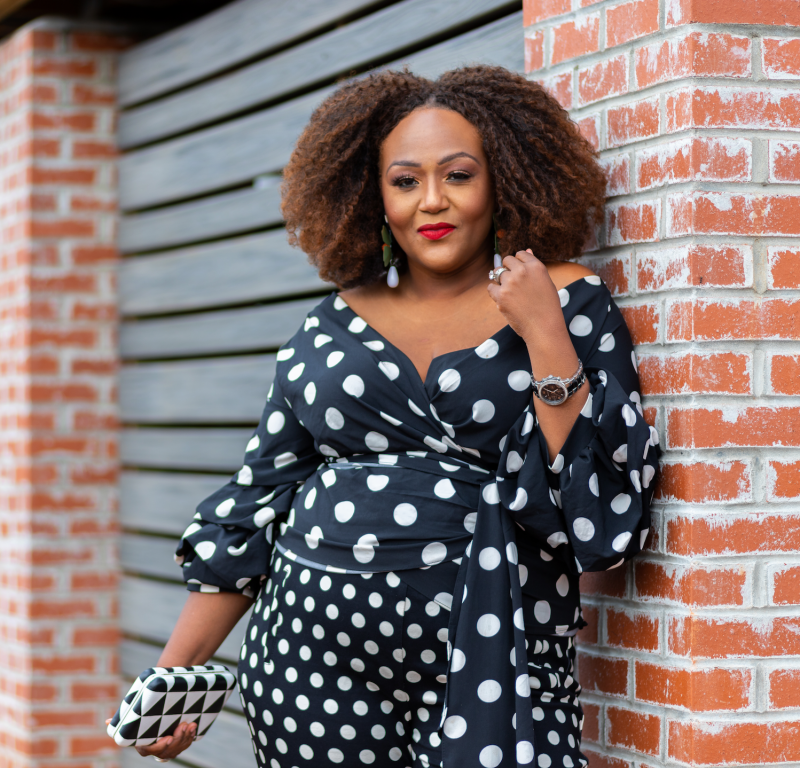 Feminine ruffles are everywhere this season causing women all across the globe to swoon over some of the most romantic feeling frocks, tops and coats we’ve seen in a very long time. The delicate and “girly” frill detail actually adds life and drama to otherwise potentially boring coats, tops, dresses and even pants. 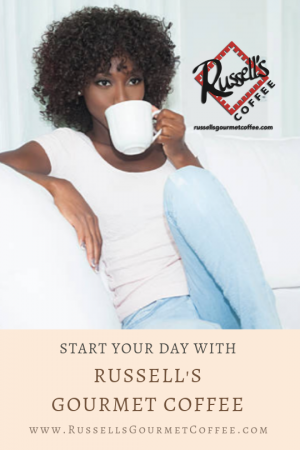 In September 2015 during fashion weeks all over the world from New York to Paris, runways were rife with ruffles and a year later, these lovely lady looks are finding there way to the closest of fashionistas everywhere. 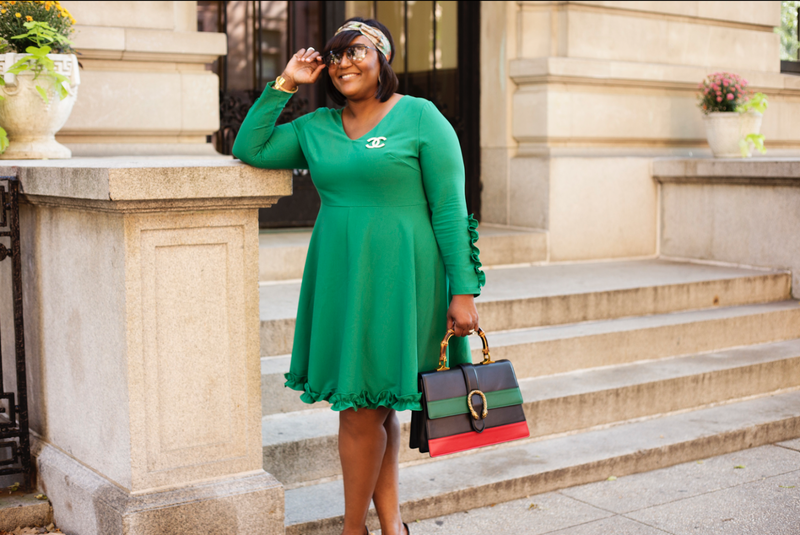 From Gucci and Alexander McQueen to Eloquii and Asos, this pretty trend is available for every woman and every budget. 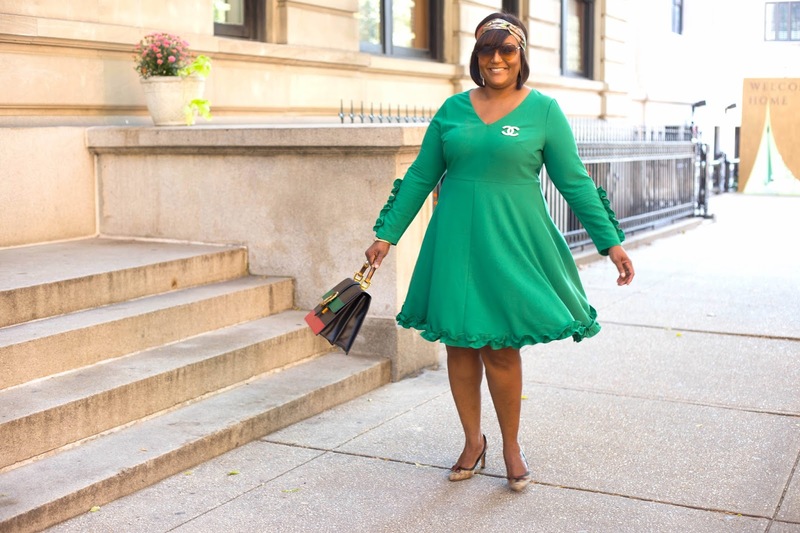 I’ve gotten in on the ruffle trend too with this gorgeous green dress (and this pink one too) from my favorite go-to fashion brand Eloquii. I was a bit apprehensive about buying this dress when I say it on the website because I was worried it would on exacerbate those curves and areas of my body I’m not necessarily interested in emphasizing (lol). But I figured if I didn’t like the fit, I could easily return it. When I tried the dress on, I fell in love and instantly wished it came in different colors. 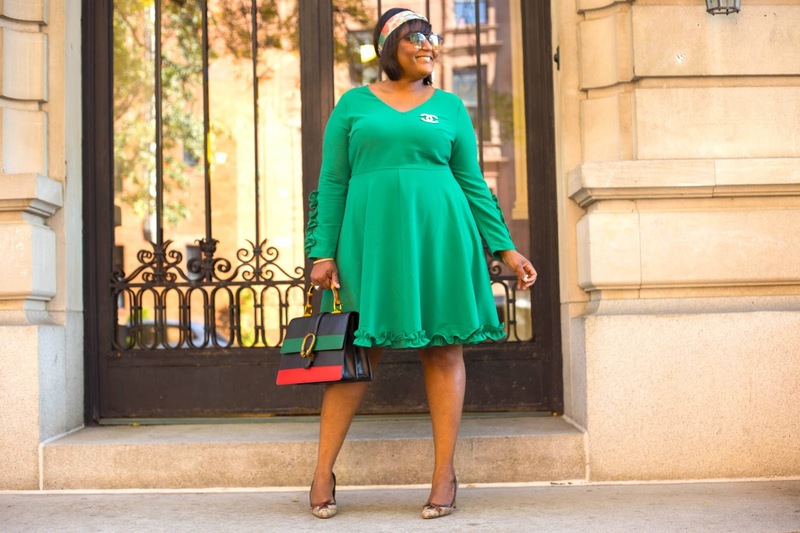 I love that the dress features gathered ruffle detailing on the sleeves and around the hem, and a very feminine fit and flair waist that flatters every body type. 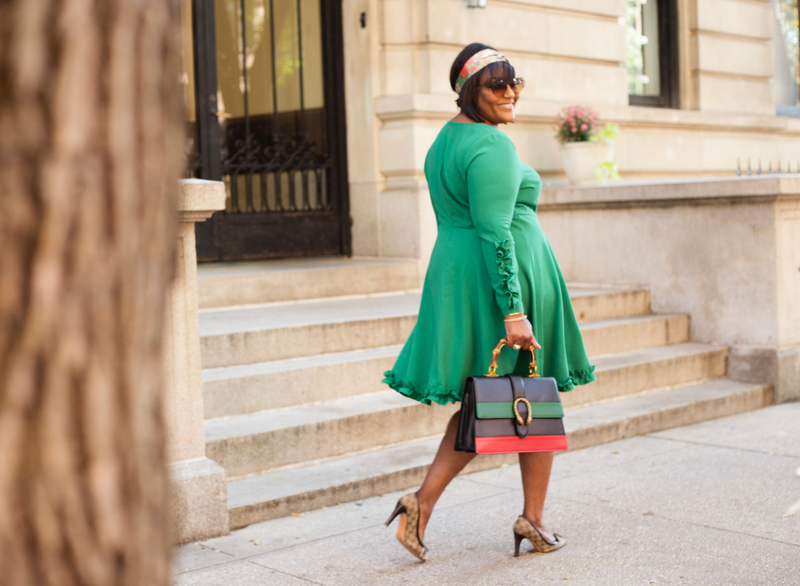 I knew I wanted to pair this dress with some of my new and old Gucci accessories. 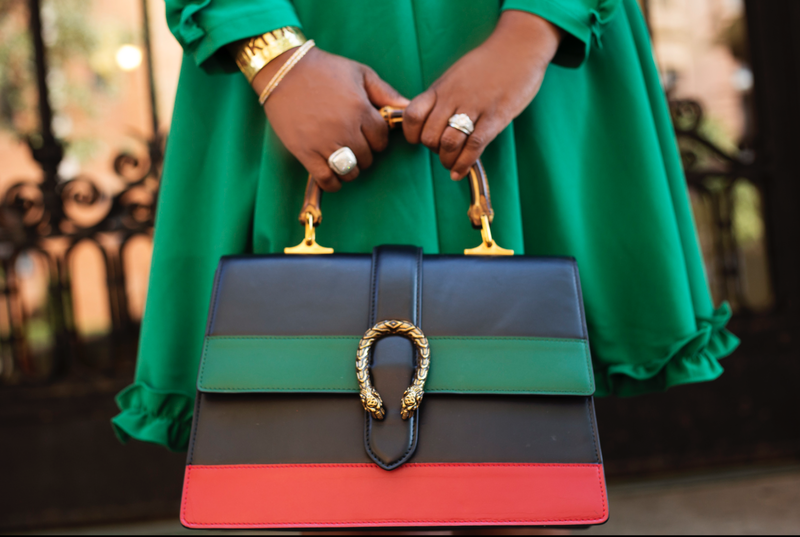 If you remember my last “Currently Coveting” post, I talked about wanting the gorgeous Dionysus leather top handle bag. Well, for my birthday I treated myself to this timeless piece of art, and it is a perfectly compliments this great dress. I hope you like this look as much as I do. This dress is almost sold out, so if you like it, go get it now. It’s currently $120 with 50% off! 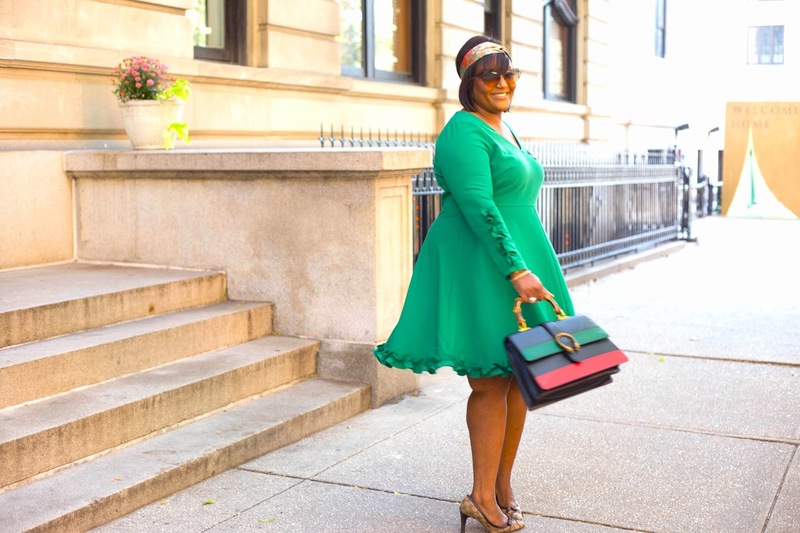 Tell what you think of this dress and the entire look! And as always, thanks for stopping by!